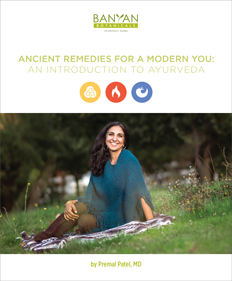 Get started with Ayurveda by learning about the three doshas and how they influence everything in your life—from personality, to physique and digestion. We’ve included practical tips and advice to guide you on your journey to vibrant health and well-being. Receive your free ebook by entering your information below.